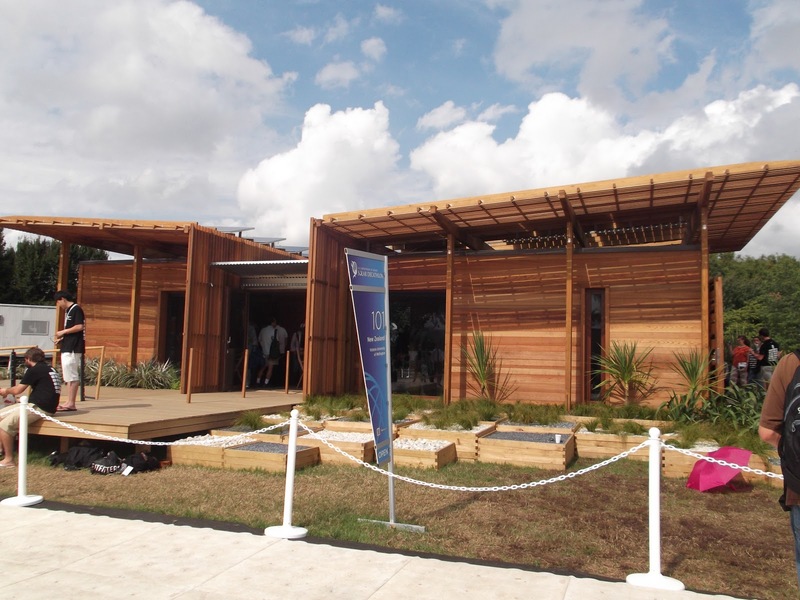 The latest US Department of Energy Solar Decathlon competition held in Washington, D.C. finished this past weekend with local entrants University of Maryland taking the overall win, followed by Middlebury College (2nd) and New Zealand (3rd). The event showcased student creativity, innovation and teamwork with undoubtedly positive results for all. 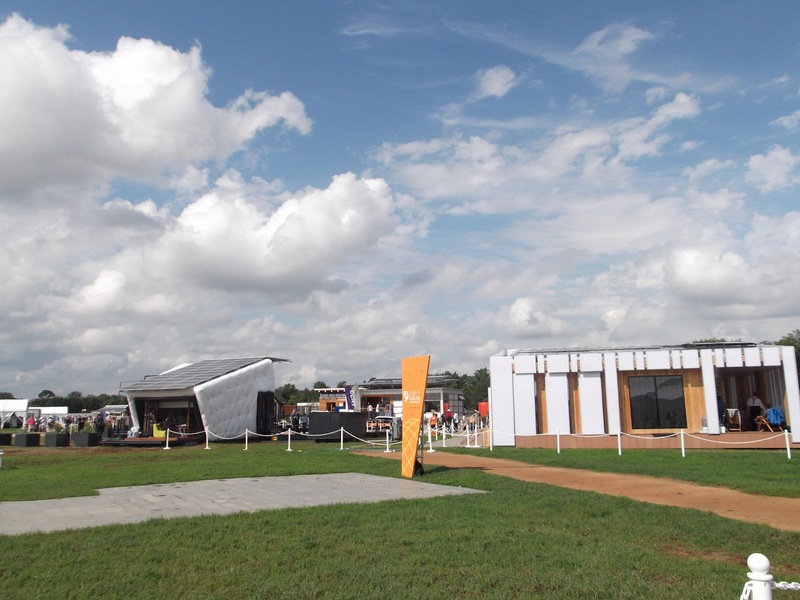 While there are plans for each of the competing twenty houses to be shifted to different parts of the country and the world, only time will tell whether or not the new technologies used during the competition will make it to the mass market. This post will focus on two houses – New Zealand and China. Photos from the event will follow. Called “First Light,” New Zealand’s house is modeled after the classic Kiwi bach, or what Americans call simply a beach house. 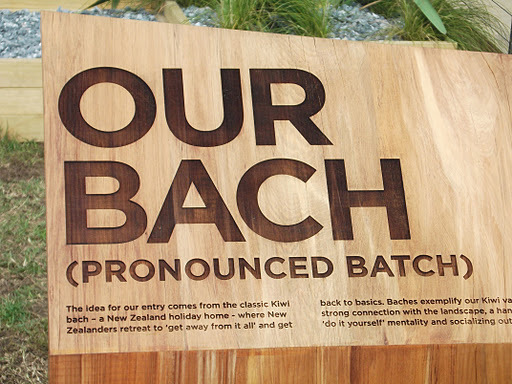 This was the first time a New Zealand team, or any from the Southern Hemisphere for that matter, made it into the competition. First Light gets its name from the fact that NZ is the first to experience the sunrise each morning. Using recycled sheep’s wool as insulation, a Maori waka-inspired lamp shade and landscaped in a way to provide a tour of native NZ horticulture, the house has a uniquely Kiwi feel. A sun roof in the center of the house provides warmth as it heats up the concrete dining table and floors. The tinted windows on all sides protect residents and their belongings from the sun’s strong UV-rays. The innovative drying cupboard/closet utilizes solar heated water pumped through a heat exchanging. Overall, the house inspires a green lifestyle and makes one yearn for the ‘crashing waves’ that the NZ team kept telling us to imagine. 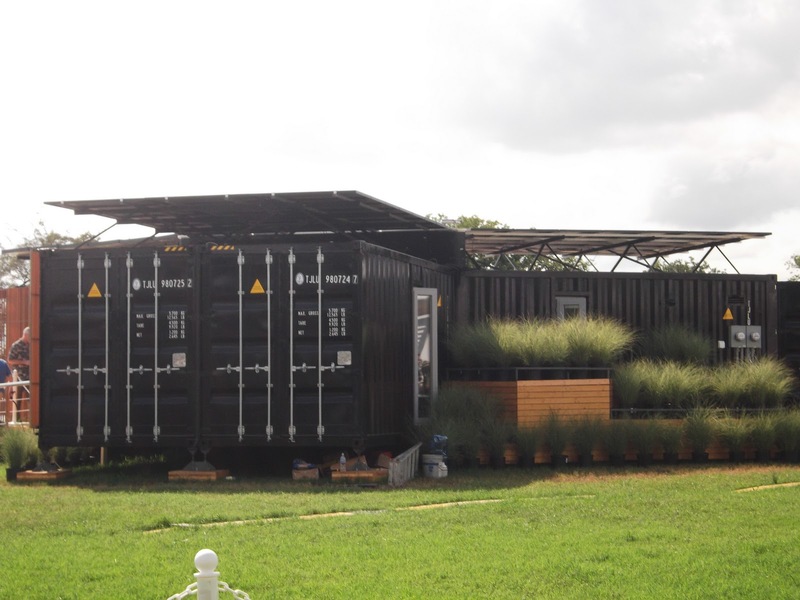 Garnering plenty of excitement and interest from visitors, “Y Container” from Team China was created with the purpose to recycle damaged shipping containers. Six twenty-foot containers were cleaned, broken down and fused to make the frame as well as to provide insulation for the home. Transportability is the key feature of Y Container; the house can easily be transformed and moved so its residents can ‘live anywhere’. Inside the house, the space takes on a similar mantra, with stacking, triangular furniture enabling easy conversion from chair to table and back again. Also, with the walls on a sliding track, they can be moved around the house to enlarge or shrink the living and bedroom areas. 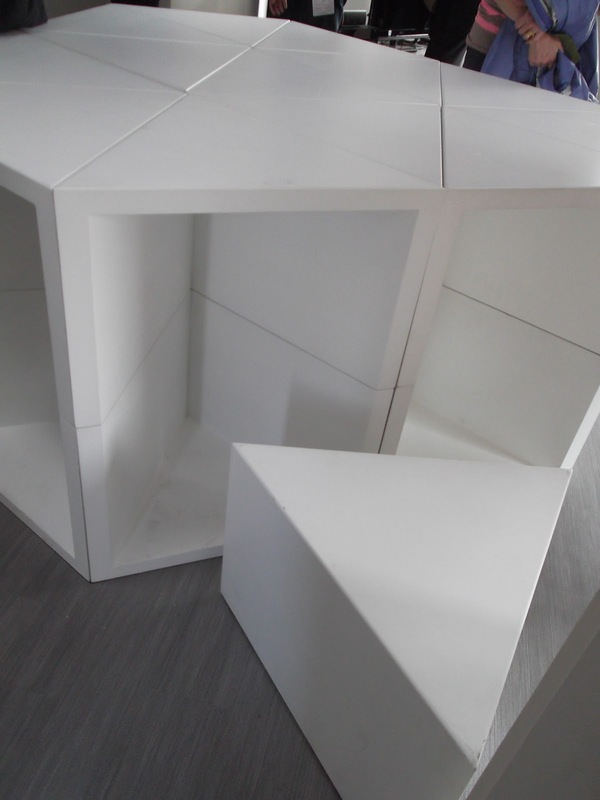 The y-shaped modeling itself can be modified to a different shape or additional units can be added. An integrated heating system recovers heat from the solar thermal collector to use for hot water and the floor heating system. 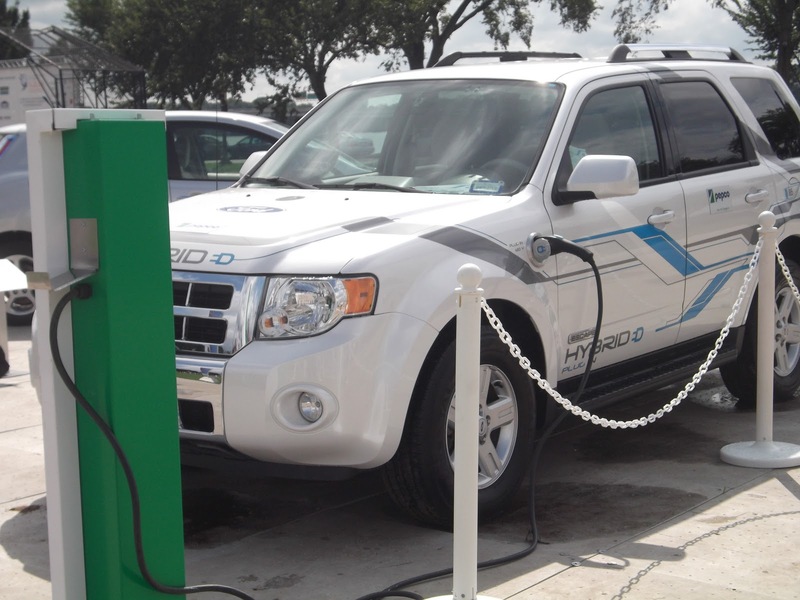 Whether or not the technologies used are groundbreaking, the concept, design and implementation of Y Container struck visitors as a new way forward for recycling the items used every day in international trade. 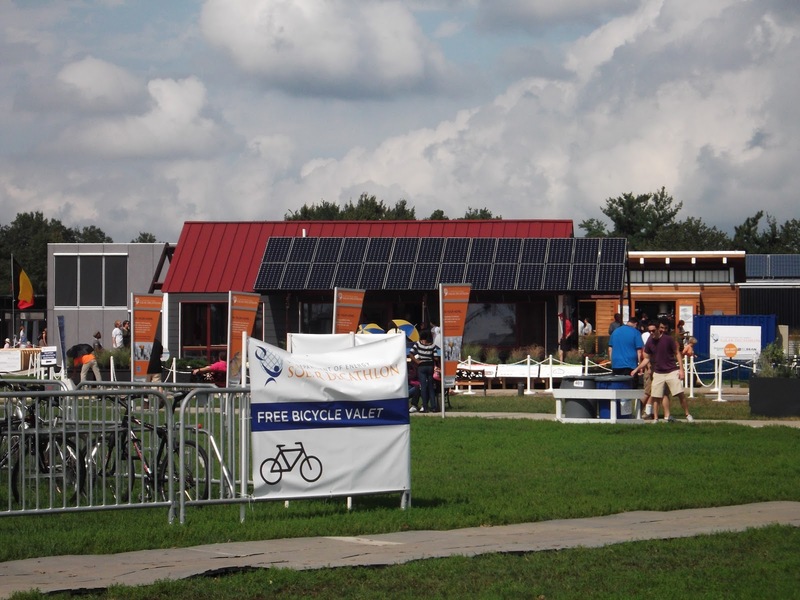 In addition to the US-based Solar Decathlon, the competition expanded to include Solar Decathlon Europe (sponsored by Spain, with next one in 2012) and a future Solar Decathlon China to be held in 2013. 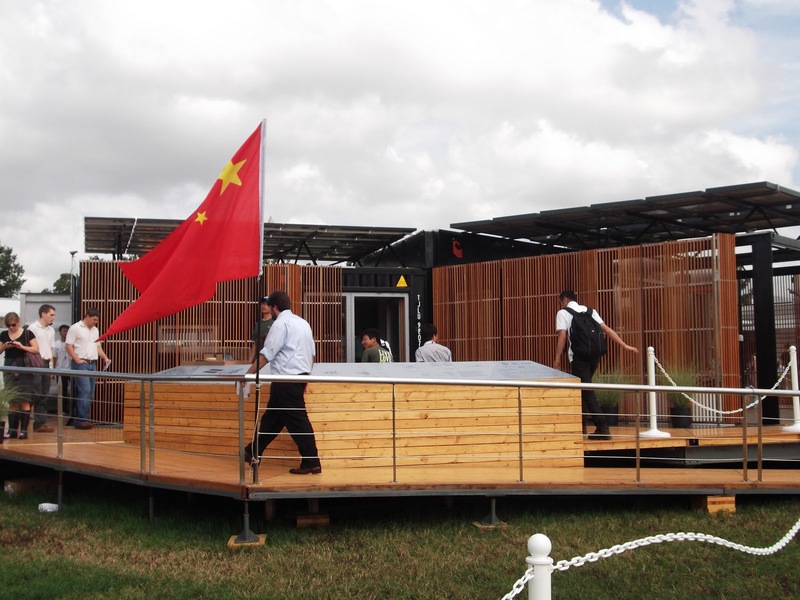 The initiation of a Solar Decathlon China demonstrates China’s continued ability to outpace the globe in its market share of solar panel production and acknowledges that it is an increasingly strong partner in creating and encouraging use of renewable energy. The US and Chinese governments signed a memorandum of understanding in January 2011 stating that they “have a common goal in fostering sustainable economic and social development while encouraging the use of renewable energy sources and recognize that solar energy development and use is an important part of their collaboration …” As well as being a strong producer of solar panels and other renewable energy technologies, China seeks to be an innovator in the field; by increasing public and private sector funding and adding to the pool of students dedicated to such technologies, China may well be on its way to meeting that goal.